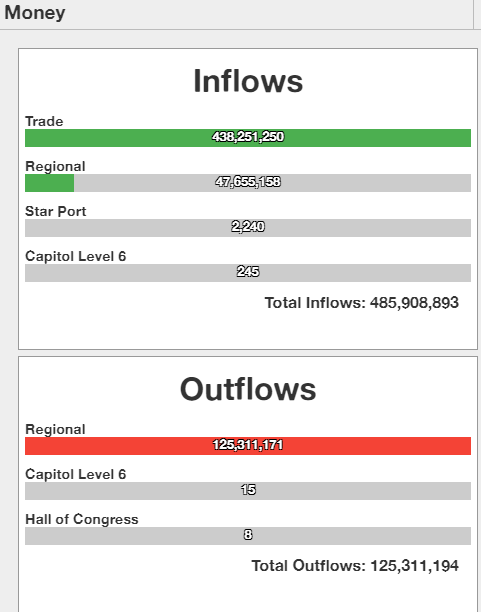 Well, the problem is quite simple, whenever I export AA by Star port my regional cash outflow jumps to 100-150 Millions/minute, only way I've found to reset the outflow is to have less money than it wants to take away, most of the time after that the outflow fixes itself. I'm guessing it's hard to replicate since I might be the only one experiencing this bug. I'm playing on windows 10 on the standard client, latest version(0.76). I've tried multiple things to fix it but to no avail, building star port in another city in region and using that one didn't help, waiting for ~10 min after exporting to leave the map didn't change anything either, the bug occurs even before the map is closed. Tried shutting down everything besides the port, still no changes. 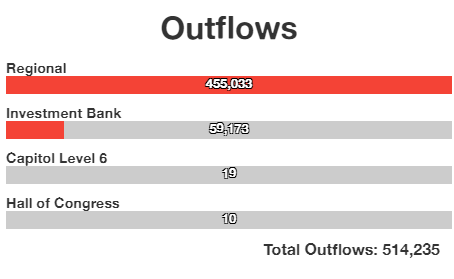 As of now, only way to get around it is to have no money on me, since otherwise it outflows to oblivion. And the only "solution" I found doesn't always work and sometimes it takes up to an hour for the outflow to reset to it's usual value. well, now the bug started being constant, as soon as my money goes above ~140M it starts draining 137M/minute, guess my region is doomed to be forever poor.